There are times, more often than not these days, that you sit back and wonder why decisions are made and who on Earth is making them. Never have I wondered this more than I did today after hearing the dreadful news that the brilliant ITV series, Home Fires, has been cancelled after two series despite having just broadcast the series 2 finale which ended with what could be considered one of the biggest cliffhangers in decades since the “Who Shot J.R.?” episode of Dallas back in the 80s. 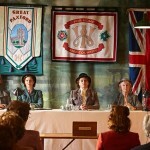 The series two finale aired Sunday night on ITV in the UK. Series 2 will air Sundays at 8p ET / 7p CT beginning October 16 on PBS. The World War II drama, which centered on a group of inspirational women at the heart of a rural Cheshire community living in the dark shadow of wartime England, who brought the village together during difficult times, was (and is) stellar drama. It’s also hard to find a sane reason for cancellation as the series was regularly pulling in close to a 25% share of the available audience (just over 6 million an episode) during it’s primetime run on ITV. 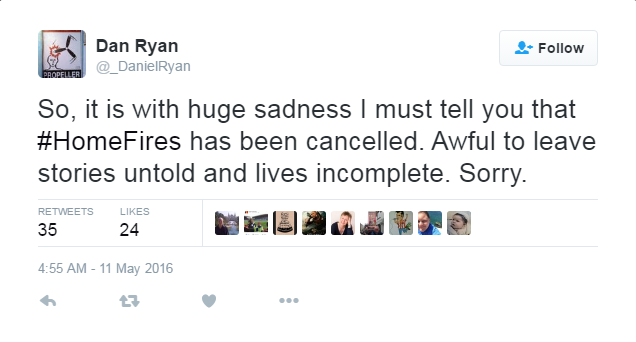 Home Fires star, Dan Ryan, took to Twitter after getting word of the cancellation by ITV and was, understandably, gobsmacked by the news as was the rest of the cast. Ryan portrayed Bryn Brindsley, the local butcher and husband to Miriam. Bryn fought in the First World War and survived but given the psychological effect it had on him, he is forbidden from enlisting only to see their son, Brian, enlist and is then feared missing. Viewers, to put it politely, are equally as upset over the news as those associated with the show. 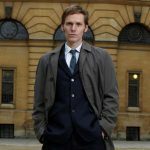 So much so, there is already a change.org petition begun to demand ITV recommission the popular series. Not likely, but it’s happened before so sign, share often and hope for the best. Without question, the Second World War separated countless women from their husbands, fathers, sons and brothers, with those left behind finding themselves under increasing and extraordinary pressures in a world turned upside down. 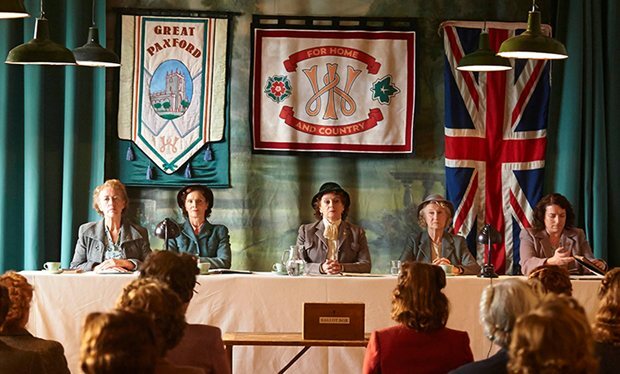 In Home Fires, the women of Cheshire form the Great Paxford Women’s Institute, whose sole purpose is to help maintain the nation’s fabric in its darkest hour. While the members of the isolated village couldn’t feel further away from the impending bloodshed and battlefields, they soon find out as we all did at the end of the first series that they are not immune from the effects of war. Inspired by Julie Summers’ wonderful non-fiction book, “Jambusters”, series two of Home Fires begins in the summer of 1940 where the village of Great Paxford is caught up in the nightmare of the Battle of Britain. Two weeks after the defeat at Dunkirk, the German army is advancing through France and Britain is bracing itself for invasion. New characters and friendships continue to emerge as exhausted and battle-hardened Czech soldiers arrive to set up camp just outside the village. Samantha Bond (Downton Abbey, Outnumbered) and Francesca Annis (The Little House, Cranford) return along with the impressive ensemble cast including Ruth Gemmell (Penny Dreadful), Claire Rushbrook (Whitechapel), Ed Stoppard (Cilla), Chris Coghill (EastEnders), Clare Calbraith (Vera), Fenella Woolgar (Spies of Warsaw), Mike Noble (Mr Selfridge), and Daniel Ryan (Mount Pleasant). Want someone to hear your thoughts on the cancellation? Think about adding your John Hancock to the change.org petition and send the message to ITV to recommission the popular series. 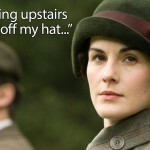 Series 2 of Home Fires premieres on PBS beginning Sunday, October 16 at 8pET / 7pCT. 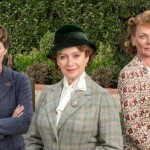 Just where is ‘home’ in Home Fires?